Anne Casey was convinced the driver took her case deliberately, but there was a very simple explanation. RTÉ LIVELINE TODAY reunited a woman in Tipperary with valuable jewellery she lost when a Dublin taxi drove off with her suitcase still in the boot. Yesterday, Anne Casey from Ballyporeen called Joe Duffy to appeal for help tracking down the driver who had brought her from Heuston Station to a friend’s house in Rathmines on 15 December. They had planned to go on a night out with a group of friends and she had a change of clothes, all her makeup, a homemade cake to give her friend and some expensive jewellery which she planned to wear in the case. Anne told Duffy she and the driver, who she said was Irish but not from Dublin, discussed the flooding across the country and traffic on the way. When they reached Rathmines she paid him with an extra €5 tip. She said she “got such a fright” she did not think to take details of the number of the taxi and since then had exhausted all her options trying to find it. He did it intentionally, I’m convinced now. In true Liveline form, the show managed to track down the driver who had not, in fact, deliberately stolen Anne’s case. Martin Bermingham handed the bag into Finglas garda station as soon as he realised he had it, but with the Christmas rush nothing was done with it. Gardaí in Finglas agreed to hand the bag back over to Martin when contacted by the radio show and today he drove to the pub she runs in Ballyporeen to reunite her with it. Duffy called the woman right before the handover to get her reaction live on air. “There’s a taxi,” she said when asked to look out the window. “Oh my God!”. Everything Anne had packed in the case was still there, including the “luxurious chocolate biscuit cake” she had made for her friend, though she promised to give a slice of “an even nicer” Christmas cake to Martin to thank him for bringing the bag back to her. Listen to the full exchange here. Email “Liveline reunites woman with lost jewellery after taxi drove off with suitcase”. 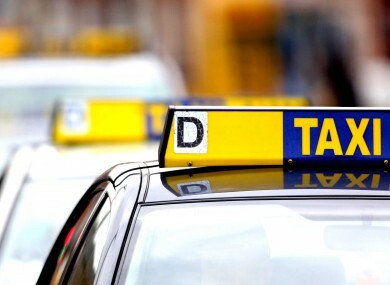 Feedback on “Liveline reunites woman with lost jewellery after taxi drove off with suitcase”.